The Secret squash looks like a small cucumber. The skin is light green in color with green, yellow and white striations throughout. The squash is of the round variety but is grown inside of a plastic tube that compresses the squash while it grows, forcing it into a cylinder shape. This growing method produces a squash that is very firm, smooth and buttery. Secret squash is available yea-round. 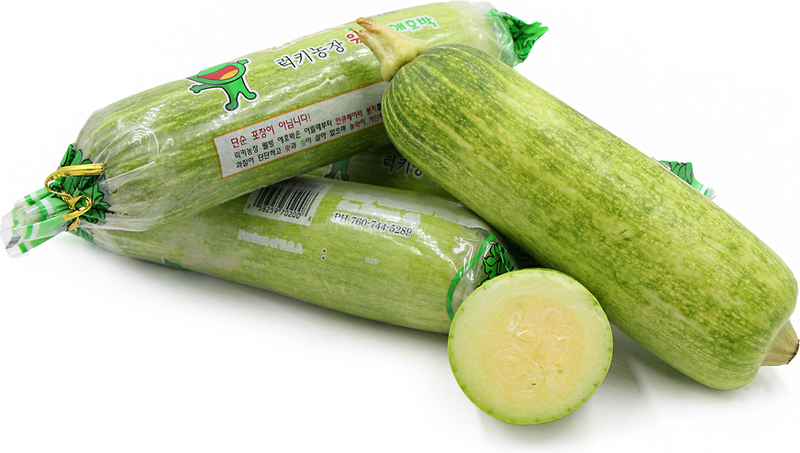 Secret squash is botanically classified as part of the species Cucurbita pepo and a member of the Cucurbitaceae family.